This is a lovely late Art Deco hand cast and hand made platinum and 18K yellow gold clean quality brilliant cut natural diamond ring. It is marked PLAT 18K on one side of the band and 25 on the other to indicate the setting is for a .25 or 1/4 carat diamond. The top is 3/16″ North to South by 5/8″ long East to West. 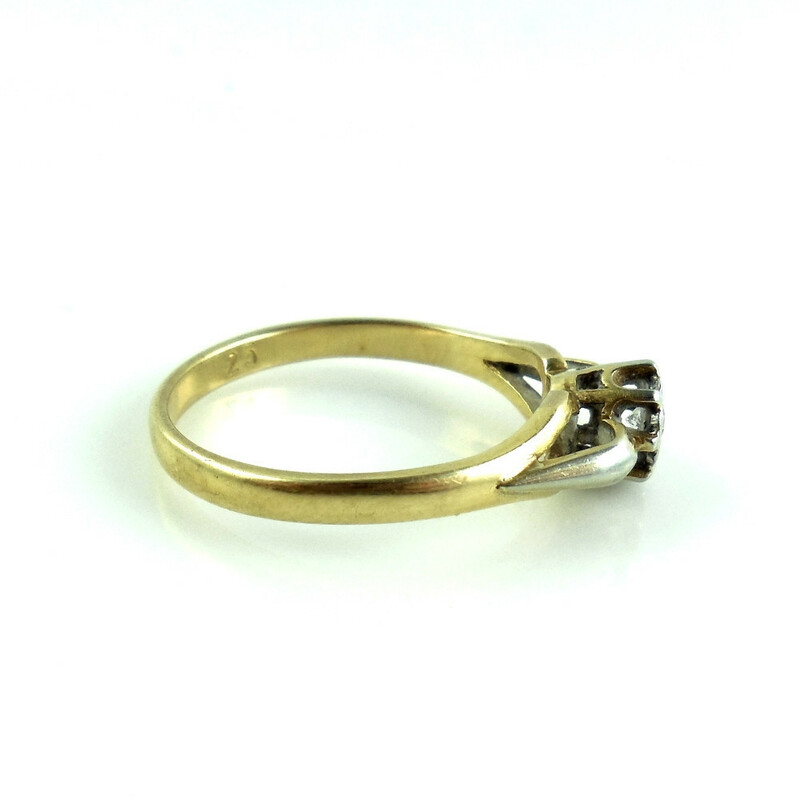 The bezel setting and side lugs are solid platinum and the rest of the ring is 18K yellow gold. The diamond is very crisp, clear, clean VS2 to SI1 quality with near colorless G color. VERY bright and sparkly. Ring size is 7 1/4. Weight is 2.9 grams. The antique Art Deco bezel is a fancy starburst. 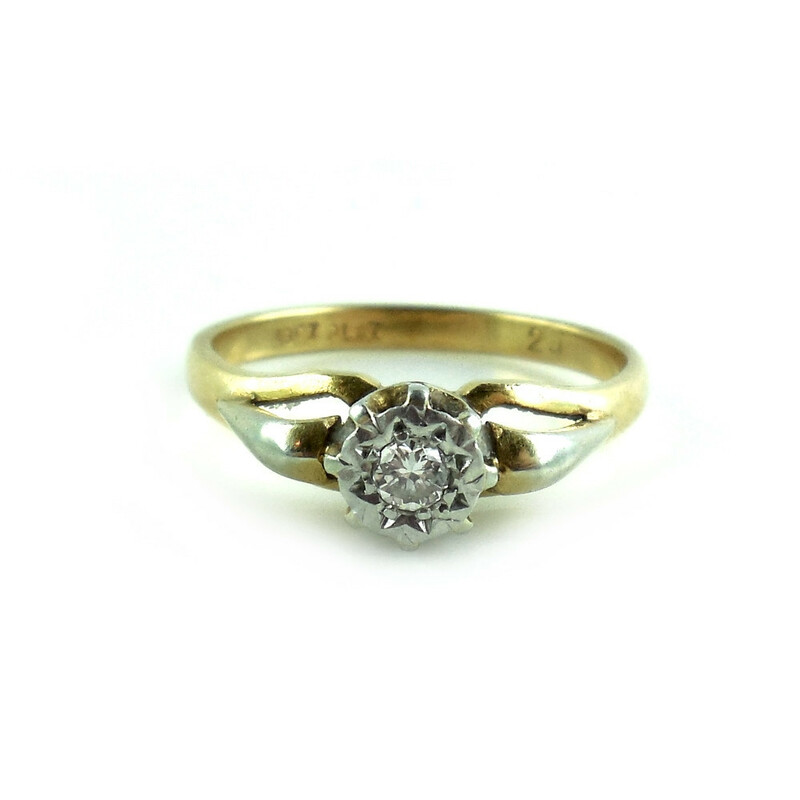 This is a lovely clean high grade gold platinum and diamond ring for your collection. Vintage Art Deco Platinum 18k Gold .25 Ct Clean Diamond Ring – This is a lovely late Art Deco hand cast and hand made platinum and 18K yellow gold VS quality brilliant cut diamond ring. It is marked PLAT 18K on one side of the band and 25 on the other to indicate the setting is for a .25 or 1/4 carat diamond. The top is 3/16″ North to South by 5/8″ long East to West. 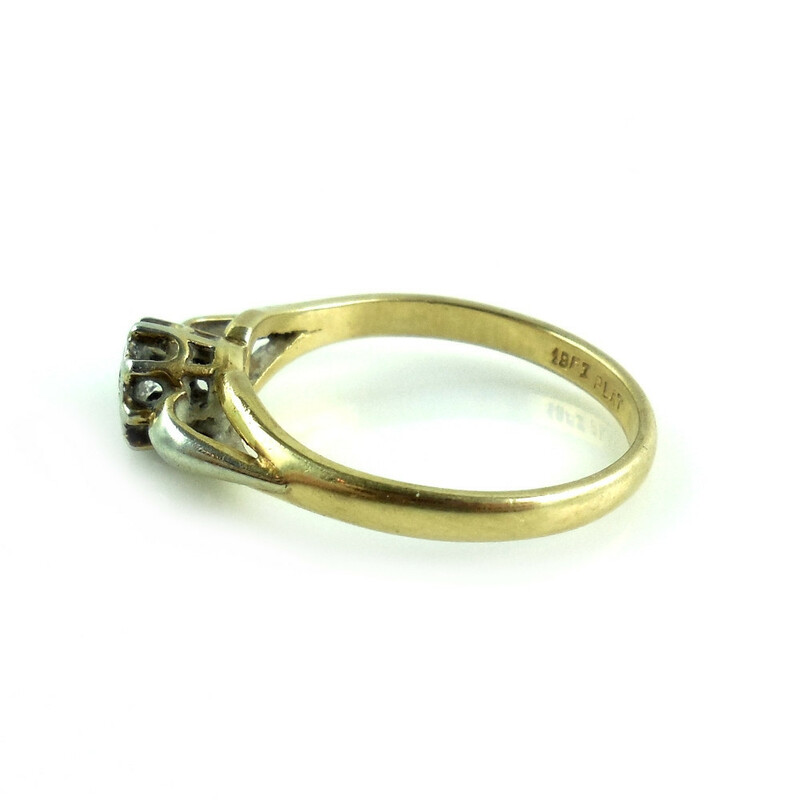 The bezel setting and side lugs are solid platinum and the rest of the ring is 18K yellow gold. The diamond is very crisp, clear, clean VS2 to SI1 quality with near colorless G color. VERY bright and sparkly. Ring size is 7 1/4. Weight is 2.9 grams. The antique Art Deco bezel is a fancy starburst. This is a lovely clean high grade gold platinum and diamond ring for your collection. 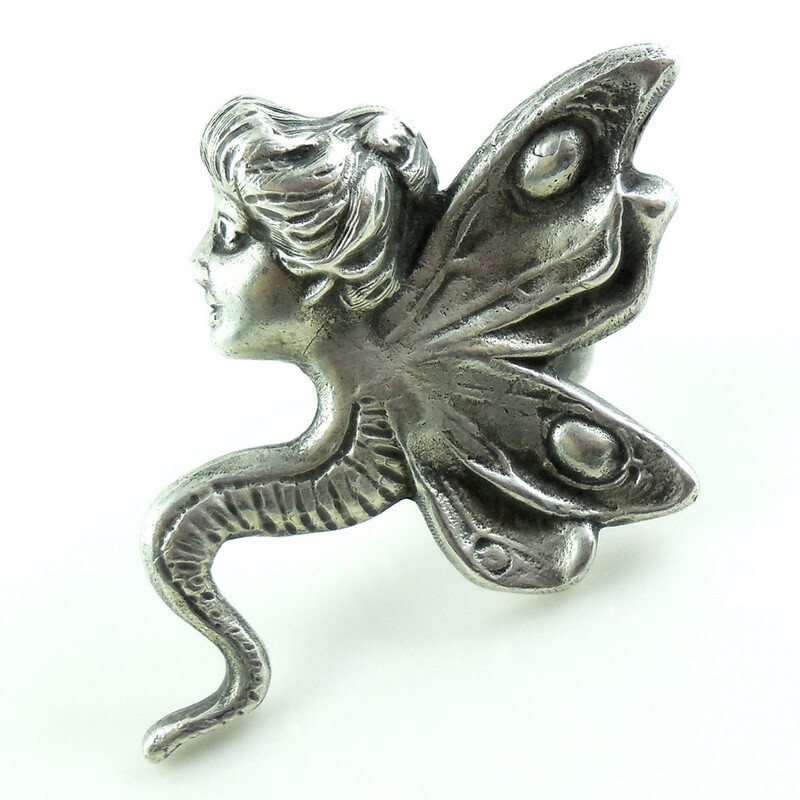 This is a vintage hand cast and hand finished large chunky sterling silver fairy ring in excellent condition. Marked with a full sterling mark, pre 1970. No dents, dings, deep scratches or wear to the sterling silver. Size of top is 1 3/4" North to South by 1 1/4" wide East to West, shoulder to shoulder. Ring size is 6 3/4. Weight is 11.8 grams. This is a most unusual and very showy fairy ring for your collection. This is a stunning vintage 14K gold .75 carat diamond ring band size 7.25, in excellent condition. It is marked and guaranteed to be solid 14K yellow and white gold with its original diamonds. There is .75 carat of fine quality SI1/2 clarity and near colorless G/H brilliant cut diamonds. They are exceptionally clean and extremely bright and sparkly with sharp clarity - you can see all the facets clearly. The top measures 3/4" long by 1/8" wide across each diamond. Height is 1/4" above the finger line. This is the height of the top mounting, North to South as you see it in the photo with the ring facing upwards. The ring's weight is 3.2 grams, and its condition is excellent and has no signs of damage or repair work. The band is thick and strong. 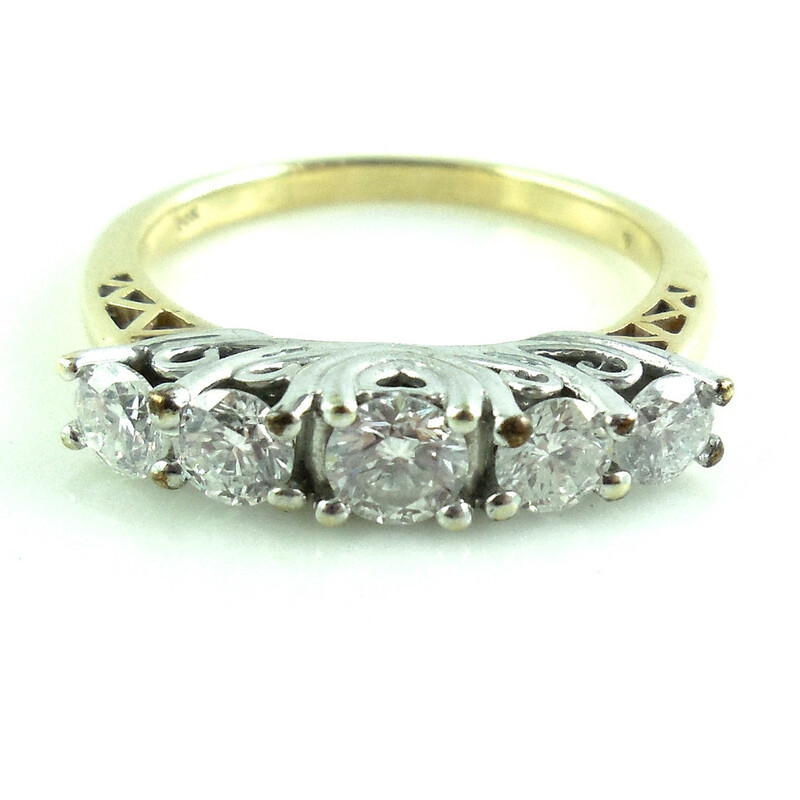 This is a gorgeous, clear, clean, and crisp vintage 14K gold diamond ring band for your vintage jewelry collection. 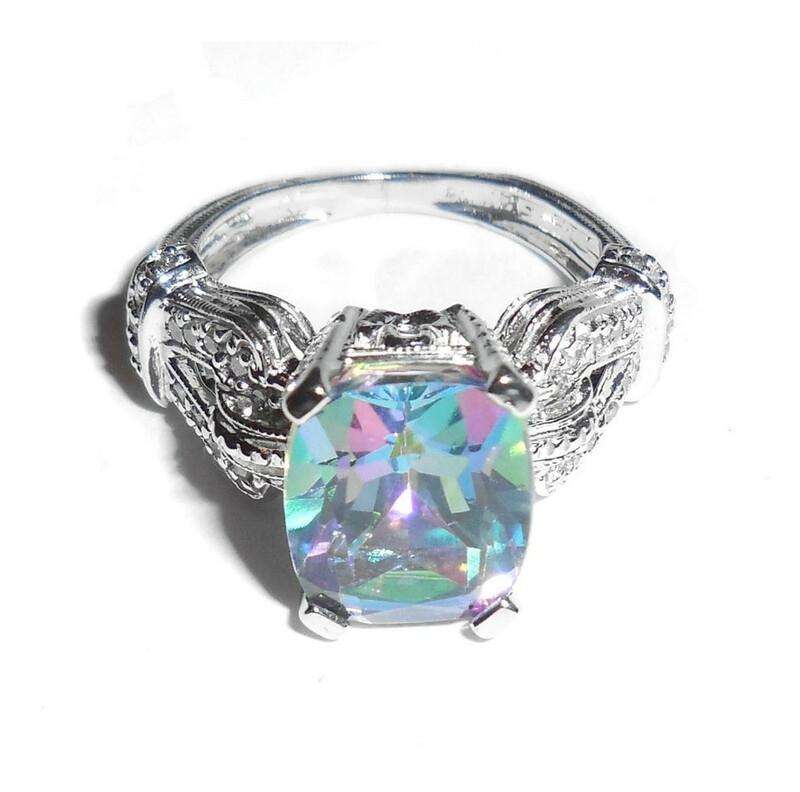 In excellent, like new condition this is a superb, thick, heavy, and beautifully made 14K white gold Brazilian Rainbow Mystic Topaz ring with a fancy diamond buckle setting, a deeply engraved fancy band and intricate millgrain cut work on the edges. It is marked 14K, tested and guaranteed to be solid 14K gold....Not plated or filled. No damage. No repair. Ring size is 5 3/4. The topaz is a gorgeous mix of purple, blue, green, aqua, fuchsia and teal and very noticeable at 11mm by 9mm. There are also .28 carat of bright sparkly SI quality diamond accents. Weight is 5.7 grams. 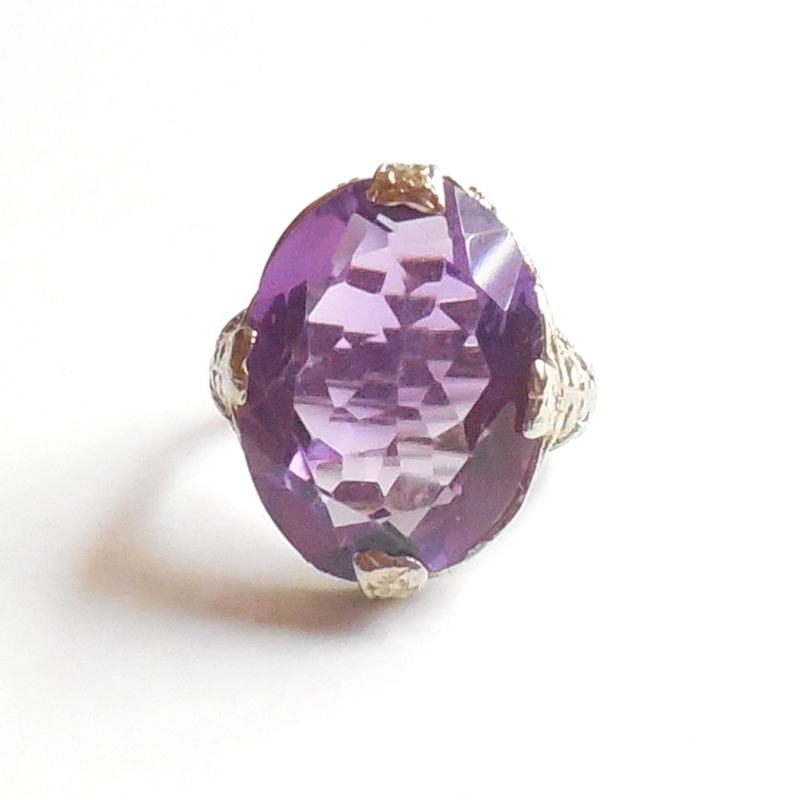 This is a stunning chunky gemstone statement ring for your collection.